Someone at the bar must leave the heat on for the plants’ sake, because they look to be happy and thriving. A colorful blanket keeps the cold from seeping through the edges of the plate-glass window. I’ve noticed other signs of a green thumb at Royal; every summer, thick heaps of morning glories and other vines take over the sidewalk on their corner of the neighborhood. 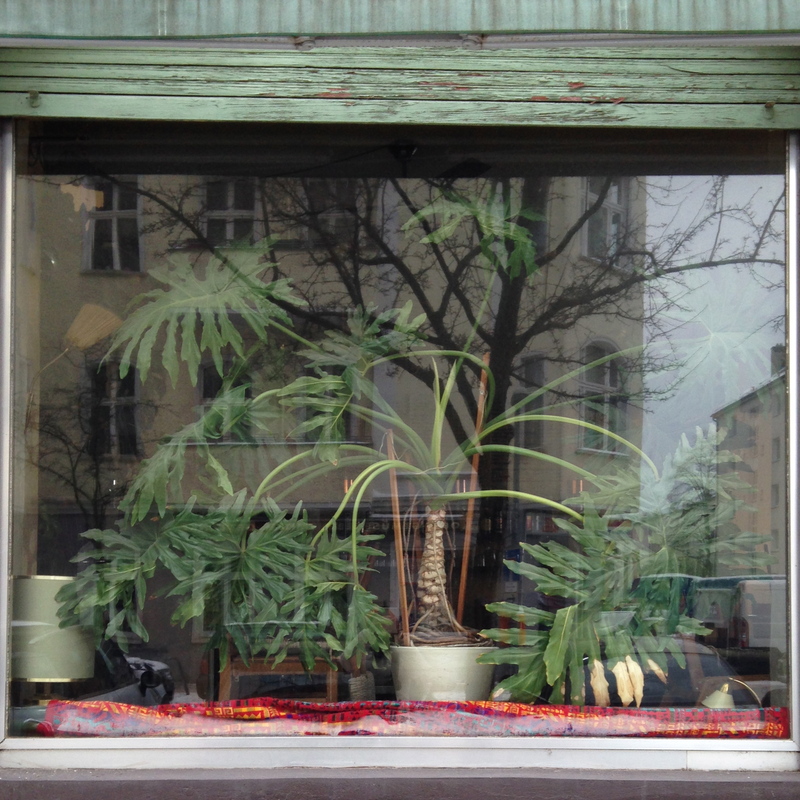 I like the idea that my neighborhood barkeeps like plants. Seems a small pot for such a prolific plant! Hello, plant. True, don’t they say of root area, “As above, so below?” But potted plants seem to defy that principle.